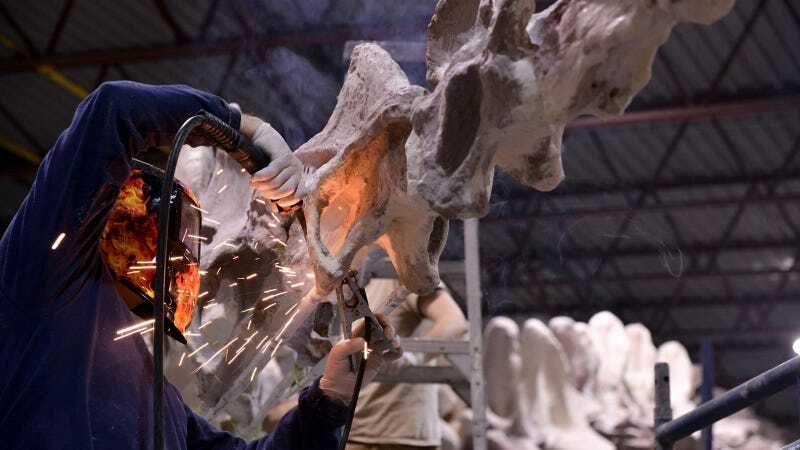 This month, the American Museum of Natural History is adding another must-see to its legendary Fossil Halls: a cast of a 122-foot-long sauropod dinosaur. Putting it together is a pretty tall order, too. In the photo above you can see one of the final steps of assembly, as the skeleton-supporting steel structure is welded together, prepping the exhibit for its January 15th debut. The species of dinosaur is so new that the paleontologists who discovered it are yet to formally name it, though it’s temporarily being dubbed Titanosaur.